Confirming your intention to enroll is an important step toward becoming an IU South Bend student. Here's how you can confirm! 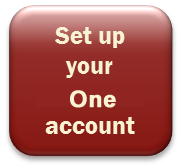 First establish your One.IU account! Click here for directions on creating your One.IU account. Confirm your intent to enroll by signing up for New Student Orientation (by May 1, 2019 to secure IU South Bend scholarships). You will set up your first semester class schedule during New Student Orientation. Confirm Here (by May 1st to secure IU South Bend scholarships). If you have 18 or fewer transfer credits, please sign up for a New Student Orientation. You'll schedule your classes at New Student Orientation. If you have more than 18 transfer credits, please contact an Academic Advisor to schedule your classes, then sign up for a Transfer Student Orientation. Confirm Here and then contact your Academic Advisor to schedule your classes. Those who have been awarded institutional scholarships must confirm intention to enroll by May 1 in order to secure these awards.